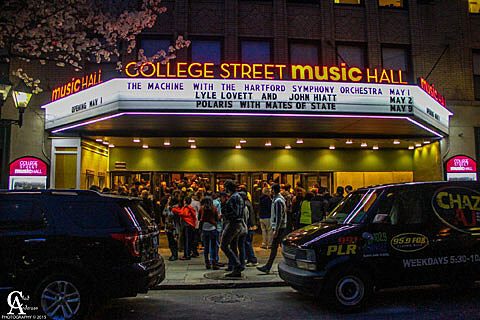 New Haven’s historic Palace Theatre has reopened as College Street Music Hall. “Located in the heart of College Street in downtown New Haven’s arts and entertainment district, CSMH joins the scene as the hub for live music performance in New Haven and all of Southern New England. The theater will feature multi-capacity configurations for up to 2000 patrons, with a seated balcony and the option of the orchestra level being either standing room or seated.” The collaboration between Manic Productions and Premier Concerts opened over the weekend with concerts by Lyle Lovett & John Haitt, and a Pink Floyd tribute show (complete with the Hartford Symphony Orchestra). Thu 06/18	Reel Big Fish & Less Than Jake with Ballyhoo!